We're going back to the cold south today to look at the animals at Antarctica. With the freezing cold at the continent there aren't many animals, a few birds, seals and whales. 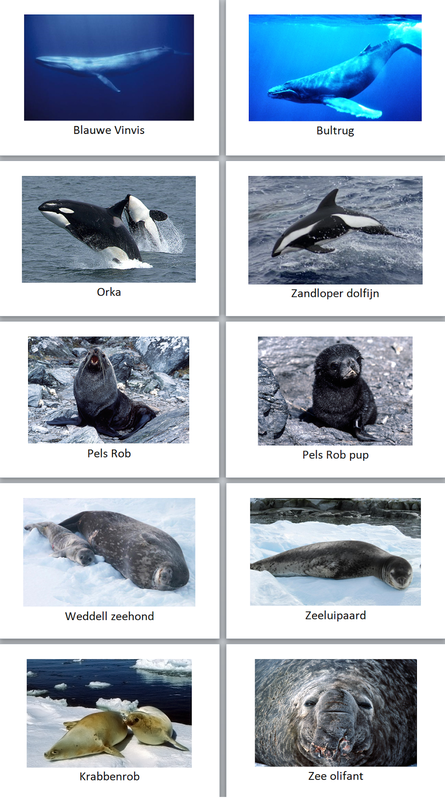 I also looked for pictures of diffrent mammals that live in the sea, ten different seals and whales. I printed the cards and laminted them to put in my continent box.